Sometimes you just want to be comfortable without the flash and effort that goes into dressing to impress. Now those everyday anti-trend casual basics of the nineties has evolved into a style unto itself and two decades later that blank canvas look has become the trend known as normcore. Built on the foundation of blending in with unpretentious and average-looking style—it’s a rejection of the loud and flashy look-at-me culture driving our social media reality-tv obsessed world. Finally, it’s hot to be comfortable and desirable to be effortlessly basic. 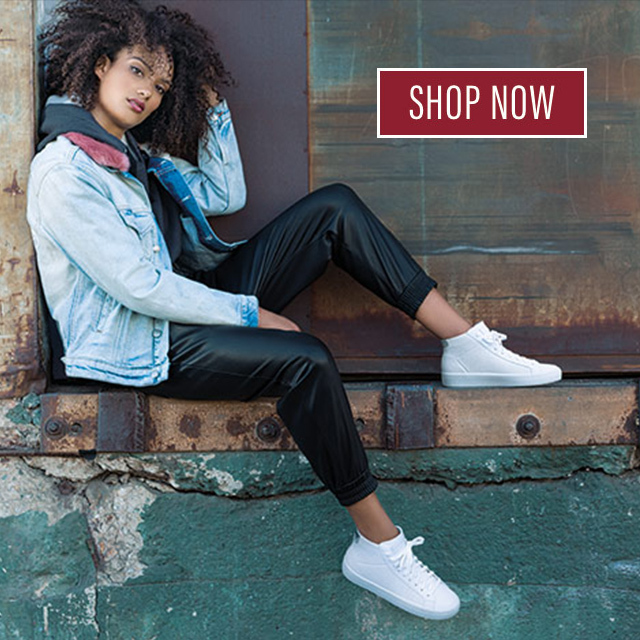 As Skechers was born in the nineties, we still offer designs inspired by the looks of that era that will flawlessly pair to your everyday normcore style. Perfect for hanging out with friends on the weekend or a night out in the city feeling cool and comfortable, Skechers D’Lites have been a mainstay in the collection for more than decade. Inspired by the big unisex Skechers Sport sneakers born in the nineties, every pair has been updated with a soft Skechers Memory Foam insole that delivers total comfort. Available in whites and blacks, these styles pair perfectly with denim and a tee or go with the overalls and dress it down even more. Who cares so why not? Seen in the photos: Biggest Fan in black/white and Fresh Start in black. As summer approaches and the days get hotter, the sunshine practically demands you wear sandals. With platform outsoles that deliver an incredible amount of cushioning, the Cali Cloud9 and Skechers Burst—Introspect sandals will feel great heading to an outdoor concert or festival, browsing at the record store, or just lounging around. Available in basic blacks and whites, these sandals will match up with worn jean shorts and the first plain tee you grab in your drawer. Normcore means different things to everyone so tell us your thoughts on today’s top trend in the comments. We also want to see how you pair Skechers to create the perfect look. Show us your favorites on Instragram with #skechersstyle and #normcore today!